Country Cards by Rose: I LOVE 2-Step Stamps (and Large Sentiments)! 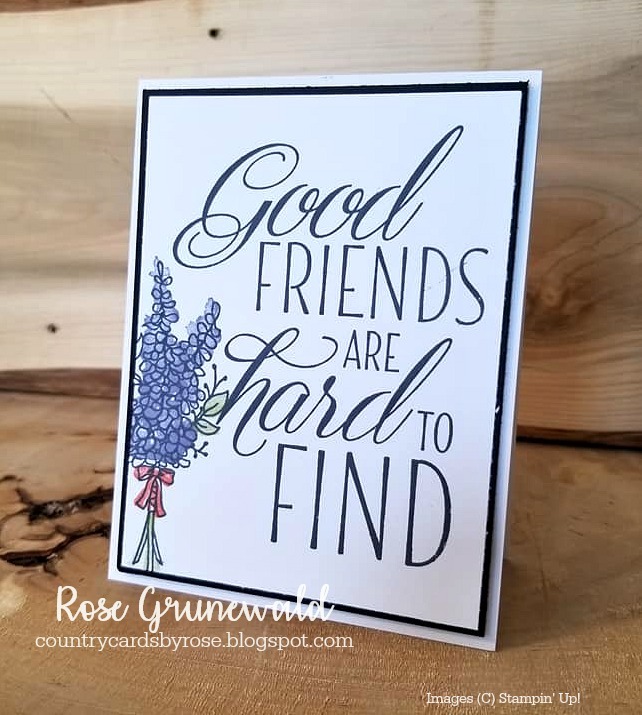 I LOVE 2-Step Stamps (and Large Sentiments)! Oh my! Don't you just LOVE large sentiments? 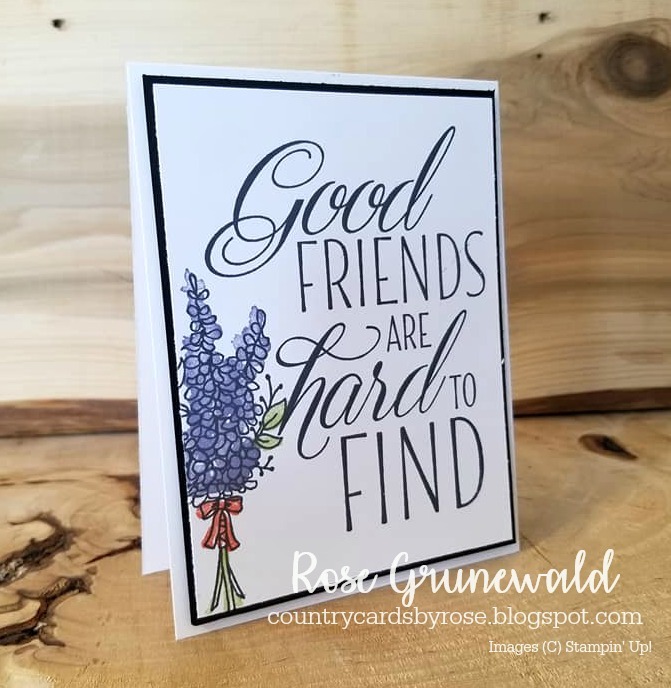 This one comes from the Lovely Friends stamp set from the big catalog. Large sentiments make stamping super easy - just fill in around it, set on some layers for a stepped up card, and you're done! I filled in around mine with the FREE Lots of Lavender stamp set from the Sale-A-Bration flyer. The Lots of Lavender set is a 2-Step Stamp. That means it makes that beautiful shading of the flowers, leaves, stem, and bow a snap! You just stamp over the outline of the flowers! Seriously - does it get any simpler than that? 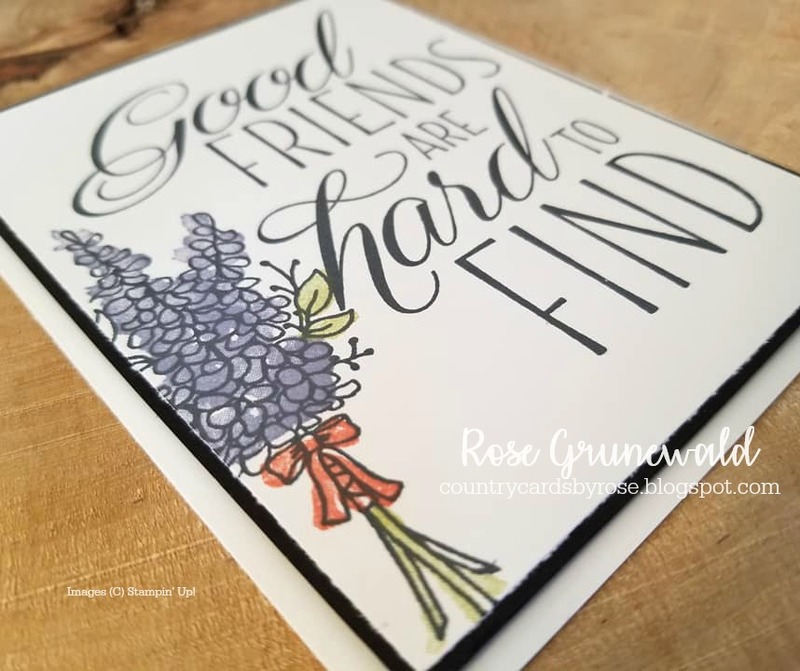 I love how this 2-Step Stamp has a soft, watercolor look to it. I used Wisteria Wonder, Callypso Coral, and Pear Pizzazz. That black sure pops against those Subtle colors, doesn't it?